Back in June, the Times reported that a man named Ismail Kamoka was working for the consular and cultural affairs section of the Libyan embassy. This is the same Ismail Kamoka who was convicted by a British court in 2007 of funding the Libyan Islamic Fighting Group (LIFG) and providing false passports. Kamoka admitted the charges and was jailed for over three years. This, too, is the same Ismail Kamoka who was granted political asylum in Britain in 1994 and now lives in a social housing property in Burnt Oak. The Libyan embassy occupies a grand but slightly shabby house on Knightsbridge, amid some of the world’s most expensive real estate. It’s a bustling, noisy, spot. People and traffic flow down to Harrods and South Kensington, up to St James’s and Piccadilly. Across the road, even the green oasis of Hyde Park pulsates with activity. The shuttered windows and closed doors of 15 Knightsbridge envelop the embassy in stillness and silence, shutting out everything: the people, the cars, the city itself. The case of Ismail Kamoka made me think of another episode in the history of Libyan diplomacy. 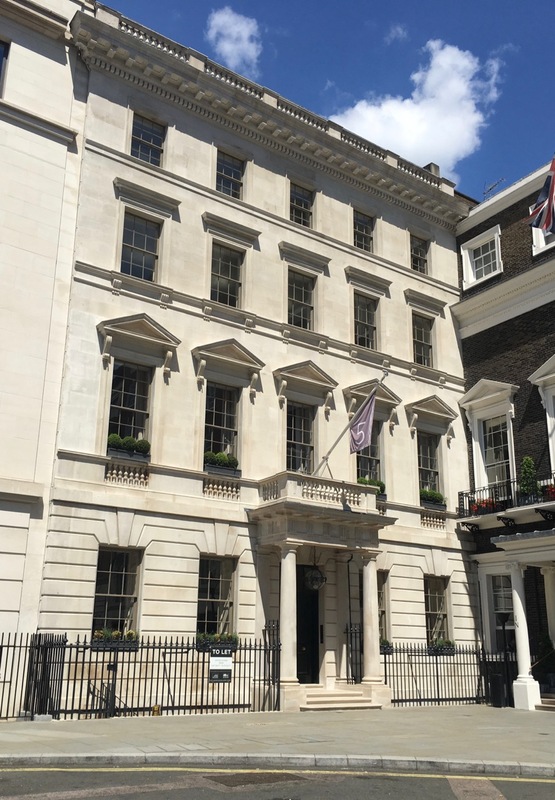 In 1984, the embassy was housed a mile east of its current location, in St James’ Square. Gaddafi’s ‘Popular Revolution’ was at its peak. The embassy had been renamed as the Libyan People’s Bureau and was mostly staffed by student revolutionaries. That April, an anti-Gaddafi demonstration outside the building was fired on by someone inside using a machine gun. 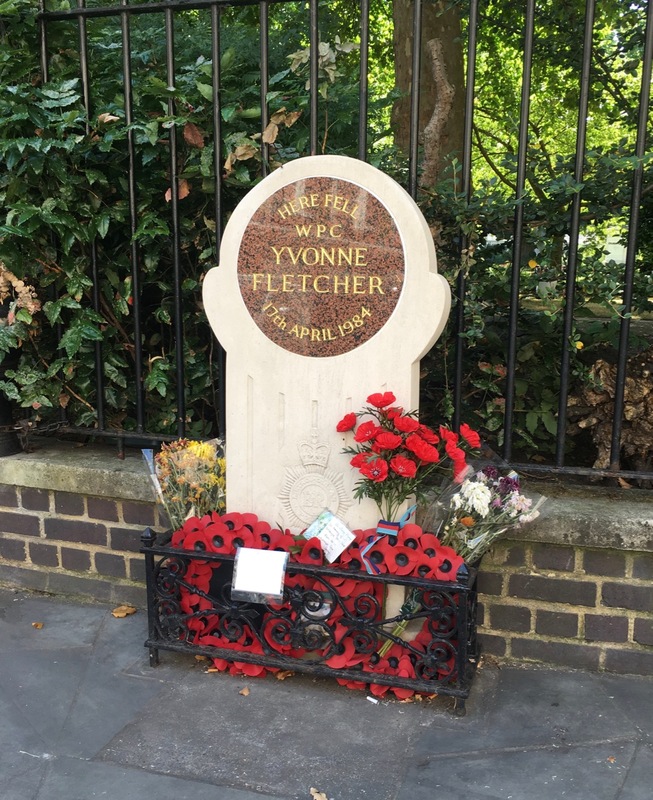 Ten demonstrators were wounded and a policewoman, Yvonne Fletcher, was killed. After an eleven-day police siege, the embassy staff were allowed to leave the building and were immediately expelled from Britain. None of them was ever charged with WPC Fletcher’s death. Naturally, the Libyan regime portrayed the siege as a brutal onslaught by imperialist forces. When Gaddafi was finally overthrown, Britain’s intervention during the rebellion amounted to little more than dropping a few bombs and hoping that the next regime would be no worse than the one that preceded it. There were no ‘good guys’, no ‘moderates’, just a variety of rebel militias and army factions, many without any political programme other than to achieve power. Some espoused hard-line Islamism. The Libyan Islamic Fighting Group was one of these and had been linked previously to al-Qaeda. All through the duration of the Gaddafi regime, the UK was the prime destination for Libyan dissidents and exiles. But settling in a comparatively free and liberal country did not turn all of those refugees into proponents of liberal democracy and individual freedom. Salman Abedi, who murdered twenty-two people at the Manchester Arena this year, was the son of Libyan exiles, and his father has also been linked to the LIFG. As in the case of the Abedi family, more than a few of the Libyans that Britain gave refuge to – Ismail Kamoka springs to mind – have no particular fondness for or gratitude towards their adopted home. It doesn’t occur to SW1 and the media that outside London their general outlook is seen as extreme. Have an immigration policy that guarantees free movement rights even for murderers, so we cannot deport them or keep them locked up after they are released?…Have a set of policies that stops you dealing with the likes of ‘the guy with the hook’ for over a decade while still giving benefits to his family? Extreme. It appears that the message has still not got through. A convicted sponsor of terrorism not only remains and works in the UK but does so while living in social housing. You’d have to call it extreme.